Have Some Cute! - Why Am I In This Handbasket? looks yummy. is he yours? No, I wish. My cat would think he was as yummy as you do so I have to be content to admire them online and occasionally get to play with other peoples'. Handling them makes my hands itch so I may be mildly allergic anyway. So it's for the best, right? i suppose. 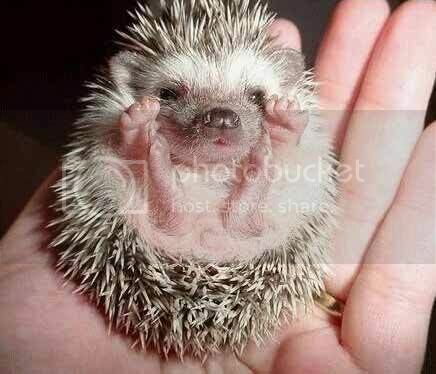 i've never actually held a hedgehog. i wonder if they make everyone's hand itch? they are cute, though!